I finished my costume last night! 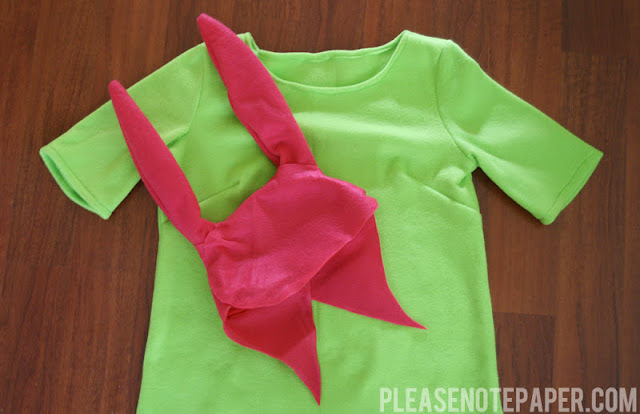 I'm going as Louise Belcher from Bob's Burgers. It was actually pretty simple... and cheap! I used a McCall's pattern that I found on sale at Joann's for 99 cents and some bright green fleece (also on sale). I already had the pink felt for the hat. The whole thing took me about 3 hours and only cost $12! You can't beat that! AMAZING!!!!!!!!!!! It looks so rad..... i am so Jealous. OH. MY. GOD! I love this. I may have to copy, Louise is my favorite person, in real and not real life. Awesome idea. Thanks, Tia! 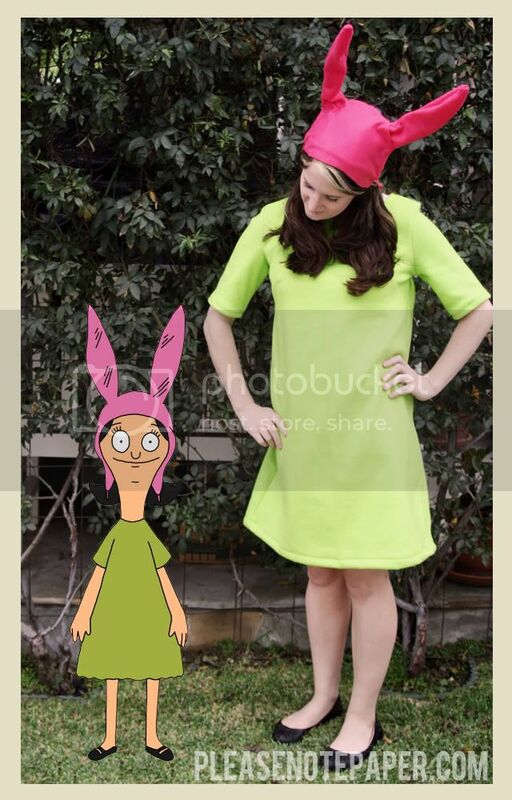 I love Tina too but Louise is such a better costume! Ahhhhhh! I wanted to do this this year!!!!! Eeeeks! I ♥ it! If you click on "McCall's pattern" in the post it should take you to the pattern I used. It's M6465. How did you make the hat?? I actually had a hat from a Lobsterfest that I went to in the past. It was red with "lobster claws" on top. I covered it all with pink felt to look like bunny ears.